Blend the blueberries and strawberries in a food processor or blender on high speed until thick smoothie-like consistency. Pour strawberry/blueberry liquid into a large bowl add honey. Add greek yogurt and easily mix everything together. Expect the mixture to be on the thicker side. Pour mixture evenly into each popsicle mold (optional) add a little granola at the end. 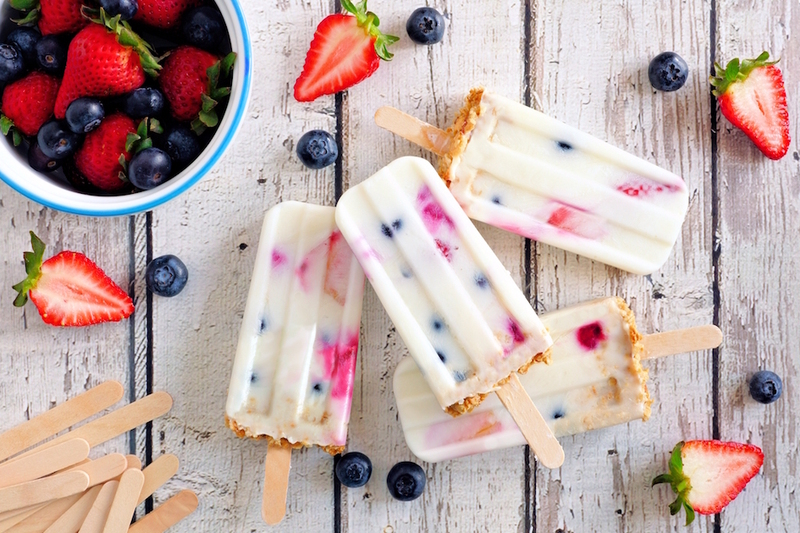 Enjoy this healthy summer treat!